Championing meat should be the focus of the industry rather than demonising vegetarianism as more anti-meat campaigns launch, industry chiefs have said. Vegetarian advertisements have been seen around major UK cities and people have been encouraged to become ‘flexitarian’ and eat less meat as their New Year resolution. Farming unions have also hit out at Sainsbury’s following an announcement it would trial vegetarian alternatives alongside meat products in some stores to encourage people to reduce meat consumption. Judith Batchelar, director of brand at Sainsbury’s, said customers should be offered the chance to buy ‘healthier, more planet-friendly alternatives’ to meat. James Wilde, head of media and PR at AHDB, said vegetarian campaigns had traditionally concentrated on demonising the industry but AHDB was taking a ‘different approach’. He said the levy board believed in providing ‘solid, science-based evidence for what we are saying is the right way to do things’. On ‘flexitarianism’ Mr Wilde said suggested it could be the ‘worst of both worlds’. “They have not got the strong ethical line and it could bring with it health risks. Not a single other food stuff provides the nutritional package that red meat does," he added. NFU livestock board chairman Charles Sercombe said he was concerned by Sainsbury’s anti-meat agenda. 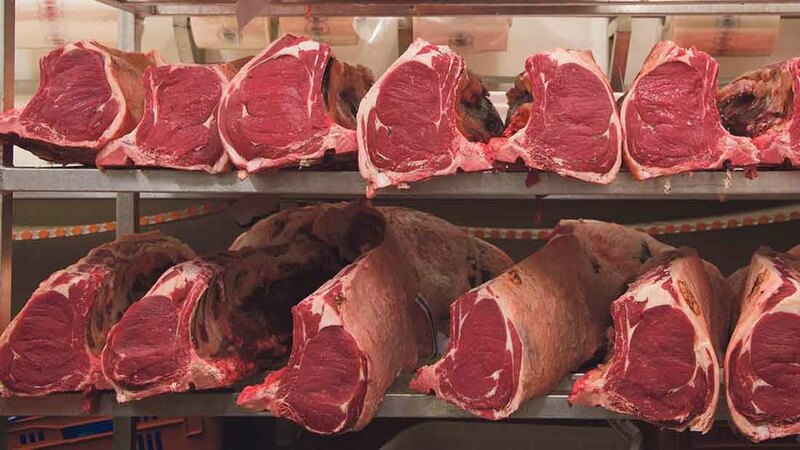 “The high-quality meat products produced by British livestock farmers are naturally rich in protein and are a good source of iron, zinc and essential vitamins,” he said. Mr Wilde said the scare stories anti-meat campaigns used tended to be from ‘associate studies’ where there was a correlation between meat and cancer, but AHDB had ‘not seen a single study’ which actually demonstrated the link. “It is frustrating for us. We try and make actual science available,” he said. New Year trends for ‘cleaner’ eating have also been affected by a shortage of courgettes and other vegetables following cold and wet weather in Spain, but could present an opportunity for British seasonal produce to fill the shortfall.